In 1632 serial thief, Adriaen Adriaenszoon (known as Aris Kindt), was sentenced to death by hanging in Amsterdam. The Anatomy Lesson is based on the events that take place on the day of his death and dissection as depicted in Rembrandt’s famous painting, The Anatomy Lesson of Dr Nicolaes Tulp, an artwork commissioned by the Amsterdam Surgeons’ Guild. 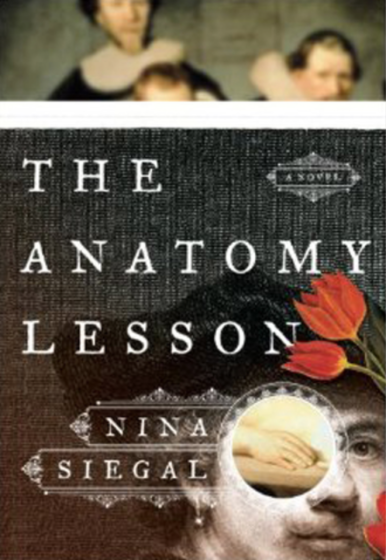 This second novel from American writer, Nina Siegal, is contrived from historical records and coloured by prose. The narrative chronicles Kindt_s life, the lives of the individuals laying claim to the dead man_s body: Dr Tulp (the anatomist) Flora (the woman pregnant with his child) Rembrandt (artist) Jan Fetchet (curio collector and acquirer of medical cadavers) and Kindt himself (both alive and dead). Siegal has obviously spent copious time researching the subject matter. This historic authenticity of The Anatomy Lesson makes it easy for the reader to conjure up the people, places and events described in the narrative. Her descriptions of the cold, greyness of the Dutch winter are commendable. The tale rumbles gently along. At times it reads more as a play than a novel. Characters enter the stage and present a short monologue before exiting. The audience enjoy the performance, while anticipating the moment when the denouement reels the characters and story together into a satisfying conclusion. Needless the say, no more can be added without giving away the end of the book. Some readers may feel that the author’s concentration on detail is pedantic and slows the flow of the narrative and the pace is slowed by the adoption of numerous characters narrating the story. Chapter headings give no clue to the identity of the narrator, leaving it to the reader to deduce from whose perspective the story is being told. Adding to this, sometimes confusing, mix is the occasional interruption by a present-day conservator employed to restore the painting (notably easier to identify due to a change in font). This literary style demands full reader concentration. Despite these niggles, The Anatomy Lesson is an enjoyable read. It provides the reader with an historical insight into a specific time period in the Netherlands, and an interpretation of the background story behind one of the most renowned paintings of the Golden Age, which now hangs at Mauritshuis in The Hague.